With over 313 million people, the United States spends over 17% of its GDP on health expenditures while over 14% of its population lacks health insurance. This has led to runaway costs, access to care issues, and worries of severe physician shortages in 2014. On the contrary, Sweden, with a much smaller, homogenous population of 9.4 million people has been able to keep health expenditures less than 10% of its GDP while covering all of its population. If health dollar efficiency was the metric to compare health systems internationally, Sweden would lead the U.S. in this regard for over the last 30 years. Despite these successes, like all developed nations, Sweden faced threats of increasing costs in the 1990’s due to an economic downturn. Additionally, Sweden saw an aging population with a longer life expectancy from advancements in technology and modern medicine. When healthcare is government-run it inevitably will succumb to rationing of healthcare when tax dollars are scarce. However, Sweden has been able to meet sustainable results through policy and market reforms focused on (1) decentralized healthcare management, (2) cost containment measures, and (3) physician and hospital competition. While Sweden is a model for a single payer system, many of their reforms are applicable to the United Stated. In Sweden the Health and Sickness Care Law of 1982 decentralized the Swedish government’s control of healthcare to keep it “accessible, efficient, and equitable.” Counties within the country were given more autonomy to set up boards and administer health services. In turn, many of the national rules dissolved. This decentralization gave more power for regional decisions within the counties of Sweden. This is unlike America where the answer to the uninsured population in its most recent healthcare reform efforts was to use the national approach of health exchanges and essential health benefits and not delegating the particular solutions to states and localities. For example the Department of Health & Human Services mandated that every state have a health benefit exchange by 2014 or the Federal government would create one within the state. Lesson Learned: Place the burden of the uninsured into the hands of local governments to formulate strategies to solve the issues that are sensitive to the local values. For example, in the U.S. one-third of the uninsured find insurance within 6 months. In Sweden, many counties pay for insurance costs for citizens up to 6 months until they find a new job. This would cut 15 million of the 45 million uninsured. Additionally, 50% of the uninsured work part-time. A U.S. state resolution would be a sickness fund (similar to Medicaid) that caters to people who work less than 40 hours a week with multiple employers, which would lower the uninsured rates to ~20 million. Lastly, 43% of the uninsured live in 4 states (New York, Florida, Texas and California). A focus on local initiatives to answer a national problem similar to Sweden could have potentially been a better use of resources and national funds than a Federal law impacting all 50 states. In 1984, with the passage of the Dagmar Reform of 1984, national revenues were divvied up and doled out to counties as block grants based on population size. As a result, private providers could no longer directly bill the national healthcare system for medical services rendered. This is very similar to how physicians who treat Medicare enrollees operate today. From 1984 to 1985 the count of practicing physicians went from well over 5,000 to just over 2,000 greatly controlling costs. Block grants also declined the percentage of GDP in Sweden spent on health expenditures. Sweden is one of the few countries that have been able to lower the percentage of health expenditures. Additionally, as the economy worsened in the early 1990’s, the Swedish government froze taxes from 1991 until 1994. During this time 22% of the country’s beds for acute bed care were eliminated. Also self referrals received a higher co-payment. This is very different in the U.S. where economic downturns cause private insurance enrollment decreases due to cost containment that occur in the private sector. However, since all health care cost controls are not vested in local state government, public spending and public health expenditures balloon during such times. For example, Medicaid spending increased by one-third from 2000 to 2003 during the U.S. economic down turn. It grew by 10% between 2010 and 2011 representing 25% of all expenditures for states. U.S. healthcare reform efforts plan to cut Medicare and Medicaid by 500 billion which is likely to get caught up in the same political stalemate as the Medicare “doc-fix” since these decisions have not been decentralized and delegated to local governments. Since Sweden represents close to 80% of all health expenditures compared to less than 50% in the U.S., they are more sensitive to cost containment measures which lead to quicker reaction and better results. The Federal government in the U.S. has continued to push-off a fix to Medicare reimbursement reductions due to lobbying from physicians and trade groups. If decisions were local, States would control costs better. Additionally, 50% of the Medicaid spend is by the states. This allows the states conversely to only handle 50% of the costs. Lesson Learned: Medicare and Medicaid should be handled purely at the state levels since many states have balance budget amendments, cannot run deficits, and it is very costly for states to borrow funds. Lastly, in 2002, Sweden introduced reference pricing and generic substitution for pharmacy coverage. This meant that when a drug was purchased, the health system would pick up 110% of the lowest priced drug. If a brand name drug was requested over a generic, the consumer would be responsible for the difference. From 2002 through 2005 Sweden realized $7 billion in savings which was close to 10% of total drug spend. Lesson Learned:Adopt reference pricing and generic substitution in both Medicare and Medicaid programs across the U.S. to sharply cut pharmacy growth rates. 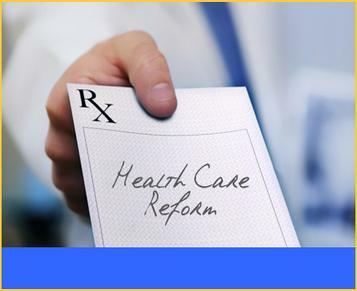 The United States is quickly facing a physician shortage when 20 million or more Americans will enter the insurance market in 2014 through Health Benefit Exchanges. In 1993 Sweden passed a law called The Point of Service Primary Care Reform which answered concerns of primary care shortages. The law made counties responsible for making sure every Swede had access to primary care. Additionally, it capped the amount of specialty training that occurred outside general medicine. It set ceilings and floors for the amount of patients treated by a single practice (1-3k patients per year). It provided credits and loan forgiveness to primary care doctors who started a new practice. And finally, the law allowed pay for performance measures that reduced the reimbursement to physicians who underperformed. Such controls including other initiatives has led to the use of electronic medical records for 94% of Swedish primary care physicians as compared to only 45% in the U.S. Additionally, 49% of Swedish physician practices can use advanced electronic health information compared to only 26% in the U.S. Lastly, 54% of Swedish practices will see patients after hours as compared to 29% in the U.S. Lesson Learned: Strong controls on physicians at the local government level can greatly stop the potential of primary care shortages and improve care. There are possible lessons learned from recent healthcare reforms in Sweden particularly in the areas of decentralization, cost containment, and physician controls. In particular there are four lessons learned that are practical in the U.S. despite the current political climate and threat of the constitutionality of the Patient Protection and Affordable Care Act. Lesson 1: decentralize the burden of the uninsured to the states. Lesson 2: Allow states to budget for health care through block grants. Lesson 3: adopt reference pricing and generic alternative scripting. Lesson 4: place strong controls on physicians to end shortages and increase access to care. Despite America’s strong dislike for government-run healthcare, roughly 40% of the population (125M Americans) particpates in a federally facilitated health program. Specifically, there are 44M Medicare recipients, 62M Medicaid recipients, 10M Tricare recipients (health insurance for the U.S. military) , and 8M Federal Employee Health Benefit recipients. Sweden has been able to use free market principles within a government-run system to manage care and cost. And yes, with any balance between quantity and quality, rationing of care does exist. But in a free market, when does rationing based on supply and demand not exist outside of anomalies like luxury and inferior goods?